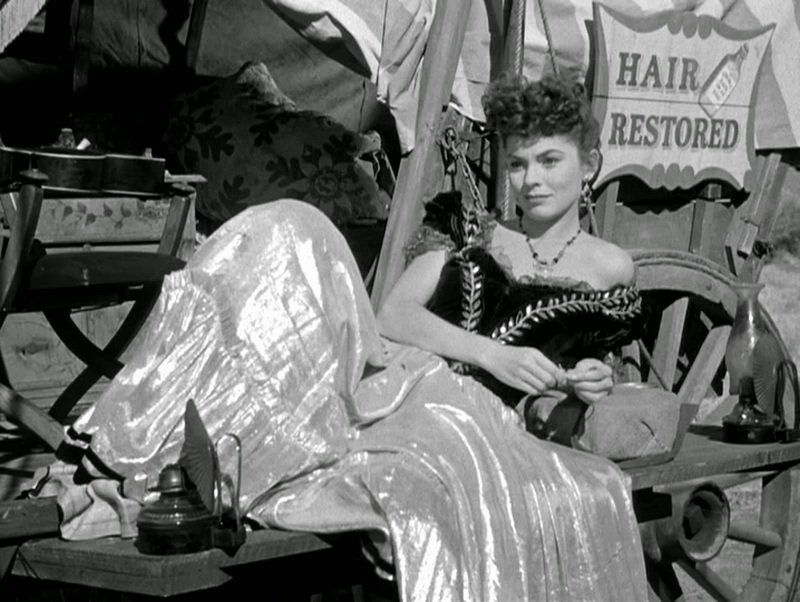 Joanne Dru as Denver in Wagon Master (1950). of his portrait and Oscar. 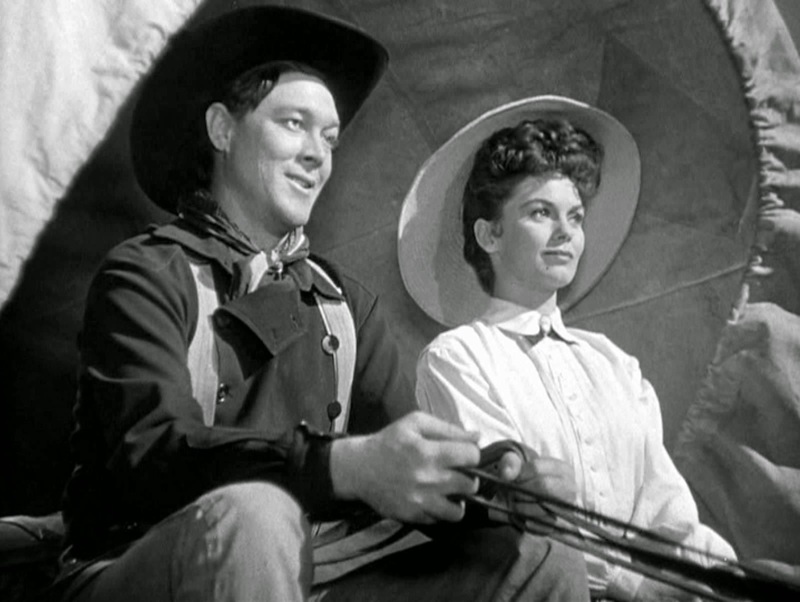 John Ford is at the center of Wagon Master (1950), and he’s hidden in plain sight. 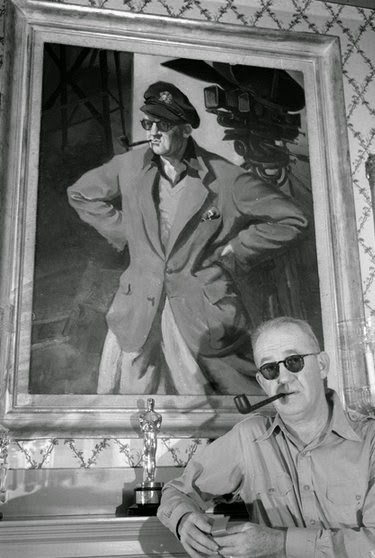 A portrait of the secret John Ford is there for all to see. 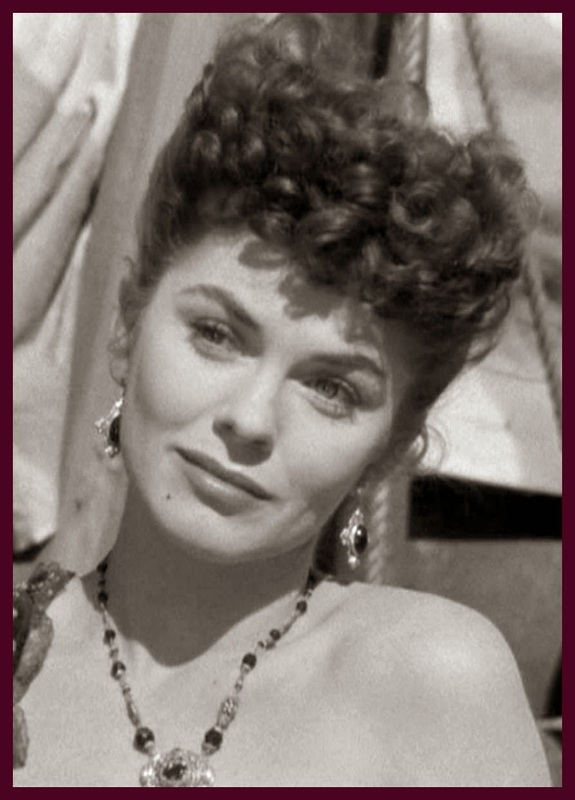 It’s my contention that the character that Ford most deeply identified with—and into whom he slyly placed his personal strategies for getting by in the world—is Denver, the hoochie coochie performer played by Joanne Dru. No wonder the old fox often cited Wagon Master as his personal favorite film! I’m basing the following analysis on three personality characteristics shared by Ford and Denver, as well as the way that Denver’s personality is expressed in two scenes. The second and third of the personality characteristics are very minor and aren’t needed to buttress my argument; the first personality characteristic is the important one. The two scenes that I’ll discuss are among the most rigorously planned, composed, and executed in the Ford canon. But some preliminary notes first: There is absolutely no need to claim that a director identifies with any single character in his movie. I doubt it happens often. I don’t go around looking for clandestine portraits of the author hidden in films. Finding this one was a complete surprise. And I also want to place Denver’s sexuality on the back burner for much of this analysis, as well. Yes, she is one of the most delightfully expressive—and unapologetic—sexual characters in a Ford movie, but her character goes much deeper than this. I think Ford was even more interested in other aspects of her personality. allow the medicine show to accompany their wagon train. For the first time, Ford felt free to openly express his artistic side. In movies like Four Sons (1928) and Hangman’s House (1928), he adopted Murnau’s elaborate tracking shots, chiaroscuro lighting effects, prolonged closeups, and impressionistic dissolves. He realized that Murnau employed this broad slate of artistic tools in a bold endeavor to visually depict mental states on film. 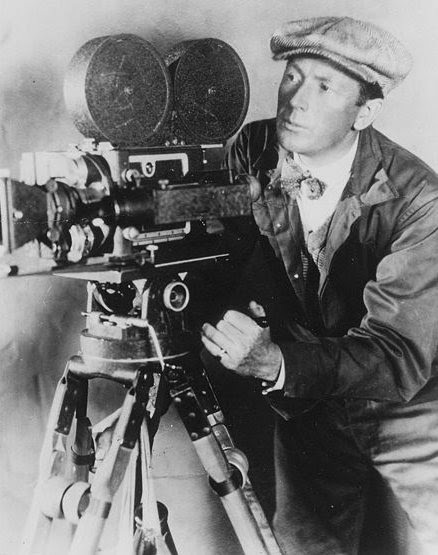 Ford’s most Murnau-influenced movies in the late 1920s and early 30s were both praised and criticized for their extreme artiness (in time—and partially due to Ford’s own vigorous promotion of a non-nonsense persona—the nature of these early works were largely forgotten). As Ford moved into his mature period, with movies like Stagecoach (1939), Young Mr. Lincoln (1939), and How Green Was My Valley (1941), he learned to integrate the Murnau effects that he still loved more seamlessly into his storytelling. They were still there, but carefully reserved for particular emphasis. He used them with restraint to accentuate the most special moments within his movies. In Wagon Master, these moments center on Denver. 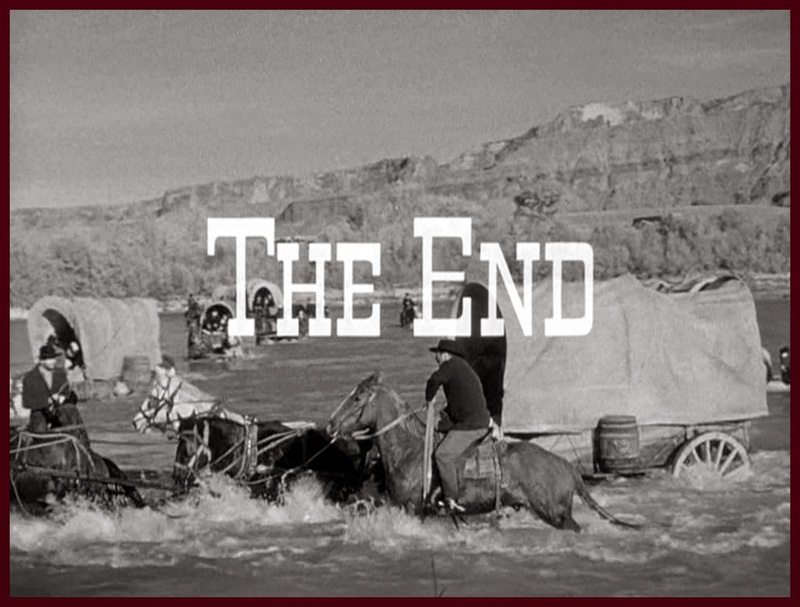 The sentimental core: John Ford did everything possible to conceal his artistic and sentimental core personality. And, to a great extent, he succeeded. He did this for reasons of personal insecurity, coupled with his obsessive need to maintain unflinching loyalty from his crews and broad respect within the industry. “Baker witnessed this exchange, and also witnessed Ford’s business manager Fred Totman coming out of the office door with a check for $1,000. Totman ordered Ford’s chauffeur to drive the man home, where an ambulance transported the woman and her husband to San Francisco for the operation. In Wagon Master, Denver is the character who has intentionally constructed a tough outward persona to conceal her inward sensitivity. She does not share her thoughts with the world. Ford expresses Denver’s internal world purely through visual means because her dialogue must remain singularly tough. That’s the way Denver talks—that’s the external Denver. She never says anything warm or pleasant. It’s all taunts, teases, and bluster. And this leaves Ford having to fall back on his old Murnau strategies to reveal the internal Denver, the woman who’s striving to build a legend of toughness to protect her softness (to borrow that phrase from Frank Ford). John Ford first attempts to communicate Denver’s inner state in the shot that directly follows the bathwater scene where Travis informs her that she’s not to waste water and she charmingly flirts in response. acknowledging the teasing of her friend. Denver steps around the wagon, entering the frame in a medium shot. The camera slightly tilts up as she walks forward and leans against a post. Dru’s performance conveys a private moment as she tries to regain her composure—her carefully constructed loner attitude. Fleuretty enters the frame, comments to Denver that she has an admirer, and passes out of the frame. Then Denver steps closer to the camera, into closeup now, the camera panning slightly to keep her centered in the frame. 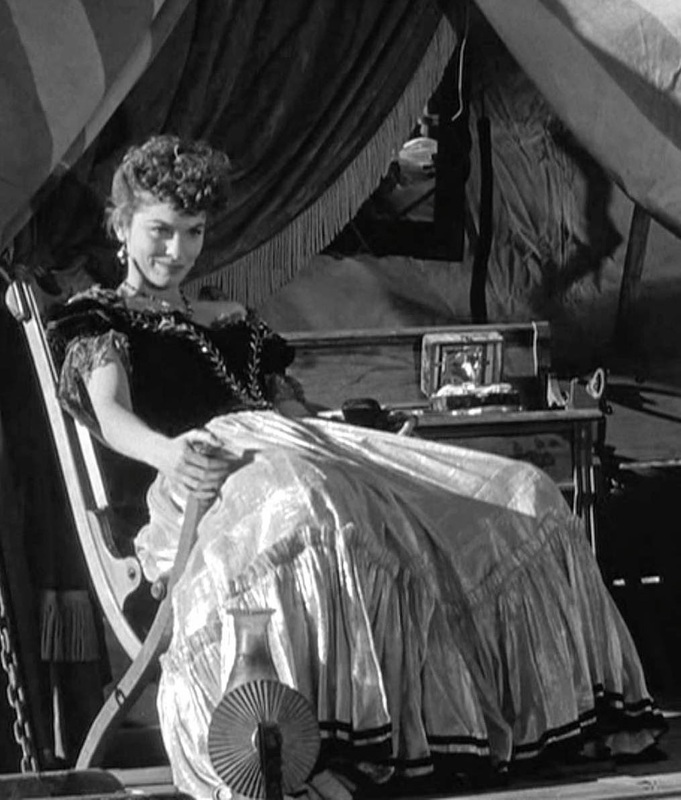 She relaxes against the wagon, her arms folded defensively, and there’s a privileged moment of silence—a time for the viewer to contemplate a character in thought. 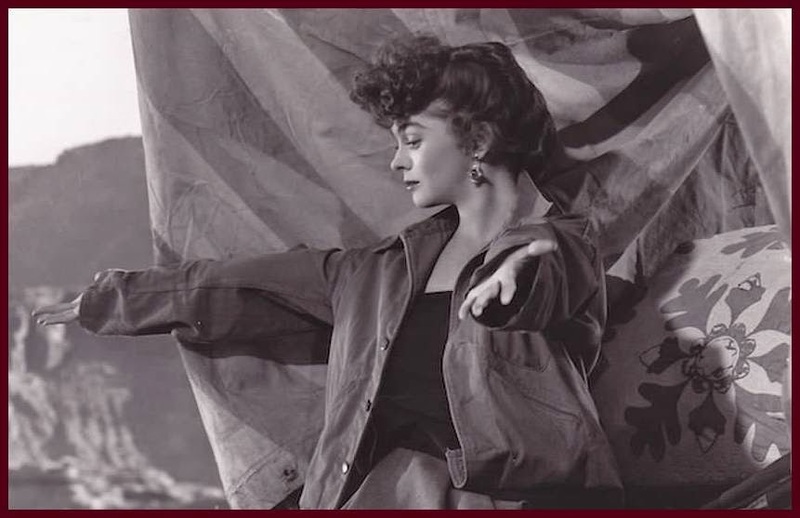 Her one line, “That rube…,” matches her folded arms. She’s protecting herself from her feelings. 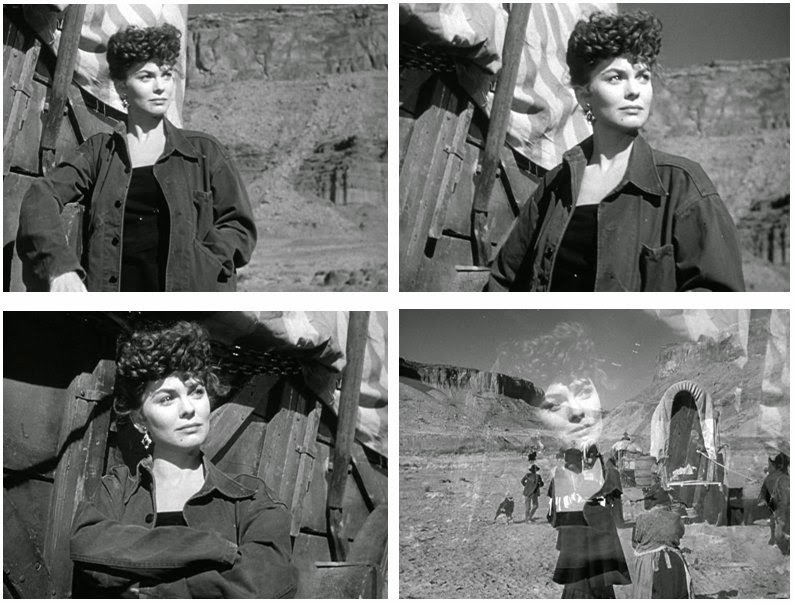 But the camera continues to observe her after the line as she returns to silent thought, with the scene ending with a slow dissolve that returns us to a far shot of the wagon trains on their unfolding journey. The scene continues: A privileged moment for Denver. Denver’s other key scene is the one where Travis goes “a-courtin’” and tentatively proposes marriage to her. Ford reserves his masterful use of backward tracking shots for important scenes like this. The actors take their time with the dialogue, each comfortable with a rhythm of slow delivery and frequent silences. When Denver realizes what Travis is saying, she steps forward, her bonnet shielding her face from Travis so he can’t see her very out-of-character smile. Then she composes herself, turns back to him, and says goodbye. That’s when the scene explodes. Ford cuts from a medium shot to a more distant shot that initially includes the horse Steel, Travis, and Denver, who is in the center of the frame. 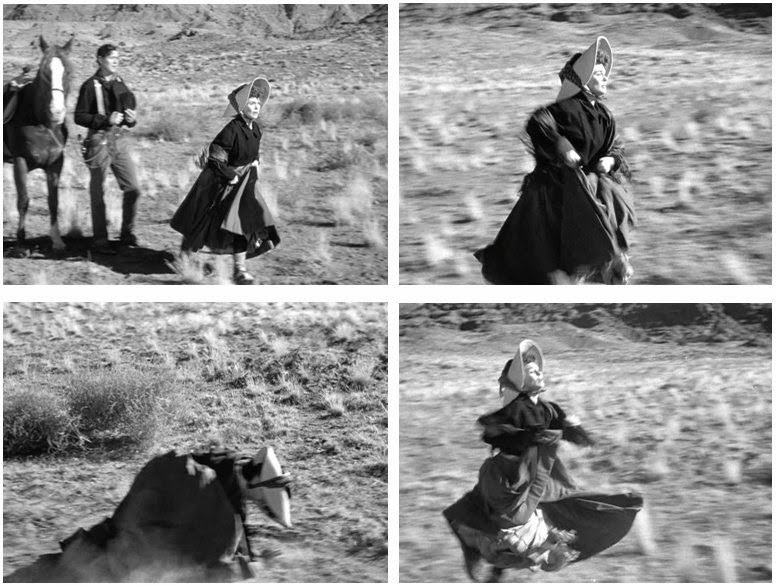 Denver lifts her skirt and runs from him, the camera reverse tracking and panning to keep her at center. She runs and runs and the camera stays on her. When she stumbles, the camera (still tracking) tilts downward to keep our attention fixed on her. And she gets up, glances tentatively back, then resolves herself and runs again, her head held high as she tries to revert back to character. Denver runs, falls, and runs again. The image of Travis riding away dissolves to Denver sitting in the open rear of the medicine show wagon, smoking a cigarette. 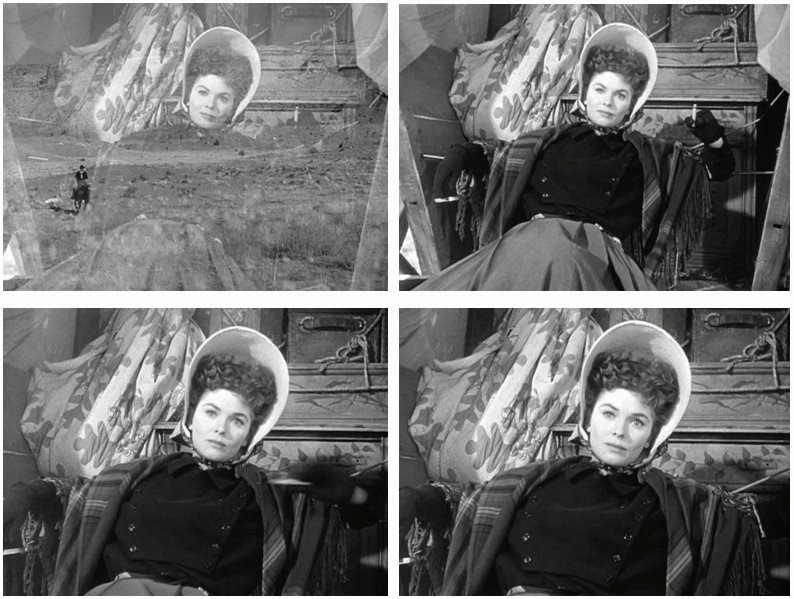 As David Meuel observes in Women in the Films of John Ford, it’s an “almost post-coital pose” (coming, I might add, after the almost-orgasmic moment of her fall). The last time the viewer saw her with a cigarette was in her introductory scene, where Travis had lit a cigarette for her and she had choked on it. Now she’s perfectly calm, contentedly smiling to herself. The camera almost imperceptibly moves closer, allowing us to enjoy the privilege of watching a woman alone, thinking. Dissolve to Denver in the back of the wagon, smoking and thinking. No other character in Wagon Master enjoys private moments like this, with the camera silently observing and moving ever closer, forcing the viewer to consider a woman’s perspective. It’s the only way for Ford to reveal Denver’s dual personality. And Ford deeply understands her personality because it is so close to his own. Denver’s Profession: Most of the critical literature on Wagon Master refers to Denver as a prostitute. This isn’t unreasonable. Certainly, showgirls are presented as prostitutes in numerous Hollywood westerns. 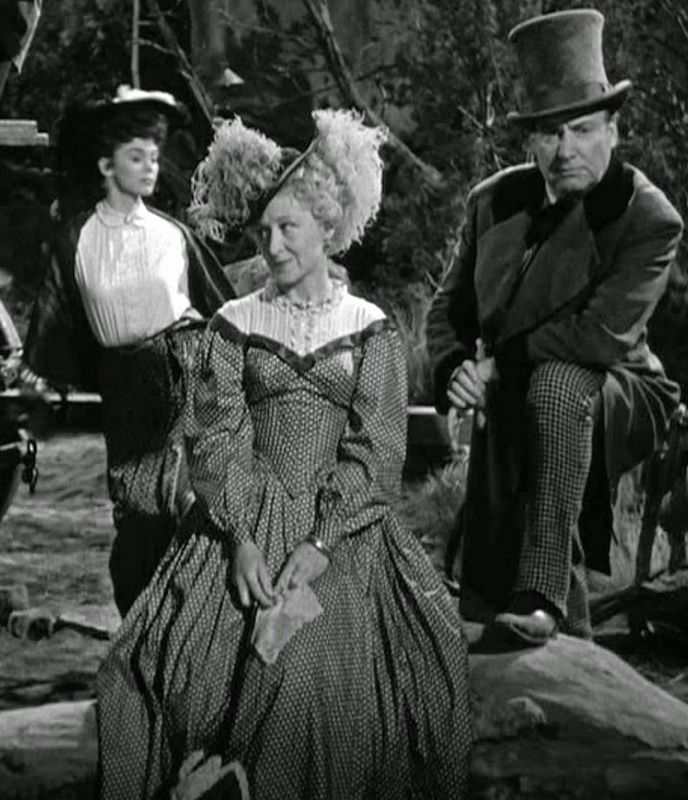 And, within Ford’s own body of work, Denver echoes the presentation of the prostitute Dallas (an overt prostitute) in the classic Stagecoach. Ruth Clifford and Alan Mowbray. But Wagon Master doesn’t emphasize Denver as a prostitute. It depicts her as an entertainer, a core part of a stock company that travels on the frontier, putting on shows. The general critical assumption is that her line, “I’ve done nothing I need be ashamed of no matter what you and your friends think,” refers to sexual activity but in this context it could also refer to her discomfort with her role as a traveling entertainer. This reminds me of John Ford’s ongoing belittling of his chosen profession. He and his old filmmaking mentor Harry Carey (Sr.) would get together at Carey’s ranch and discuss anything but the movies. Harry Carey, Jr. recalls in his memoir Company of Heroes that his father “didn’t give a damn about the movies,” and Ford seems to have picked up on this as an appropriate attitude to express to the world. Like Ford, Denver is similarly torn about her profession. She acts like she doesn’t give a damn about it in public, but her actions continually show that she is 100% committed to the troupe she works with. Denver, drunk, in her first scene. Denver on a Bender: While it may not have been entirely of her own choosing (the famished troupe has turned to drinking its own highly-alcoholic elixir), Denver is introduced to the film at the tail-end of a major bender. She’s sloshy drunk. But then she sobers up and doesn’t take another drink for the duration of the picture. When she’s sober, she’s entirely professional. Anyone who’s read about John Ford will recognize the pattern of his binge drinking, usually restricted to the down periods between movies. When he was on the job, he kept alcohol at a distance. It’s a very minor point in common between Ford and Denver, but yet another interesting similarity between the two. Finally, a Difference Between the Two: This is the movies after all, so for Denver, everything ends happily. A happy ending for Travis and Denver. Stan Jones and the Sons of the Pioneers never released a record of their songs for Wagon Master. I’m not sure if anyone’s even published the lyrics before. For this blog series, I’ve listened closely to the movie’s songs and attempted to capture the lyrics as accurately as possible. It’s really increased my appreciation of Stan Jones as a composer and lyricist. “Wagons West,” the first song in Wagon Master, sets the scene, while also framing the movie as an exercise in nostalgia. It isn’t written as a faux-contemporary folk song of the 1850s but as a 1950 song looking back a century into the past. Goes the mighty wagon train. You can't help but like Denver, but I never put her character in this context. It's interesting and I can't wait to see "Wagon Master" again. Hi Caftan Woman! While I can't guarantee that my offbeat Denver theory will hold up to close scrutiny, I can assure you that Wagon Master holds up beautifully under constant revisions. 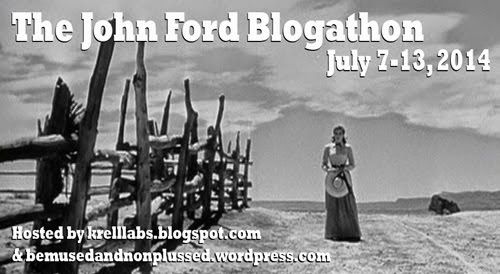 John Ford was a master, and what a great cast he was working with!